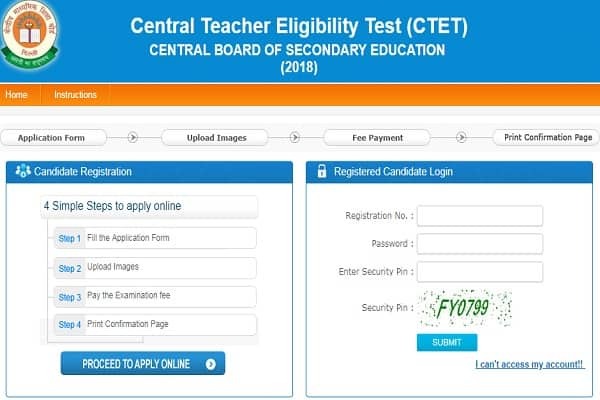 Attention Aspirants The Central Board of Secondary education has released the official notification for CTET 2018 on 12th June 2018. since all the Aspirants who are eagerly waiting for the online form filling process Now their waiting is over. the CBSE has released the online application form on 1st August 2018 on the official website of CTET. Aspirants can fill the application form on the official website of CTET: www.CTET.nic.in. The admit card will be released on the official website of CTET. 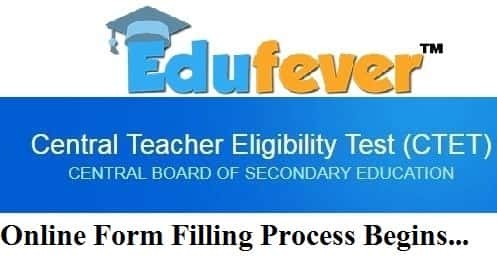 The Online Form filling process has been started from 1 August 2018 and the last date for submitting online application form is 27th August 2018. The result will be declared on Within 06 (Six) weeks from the date of conduct of the examination. The CTET 2018 Recruitment Notification and will start from 1st of August 2018 and the last date to apply is 27th of August 2018. Result Declared Within 06 (Six) weeks from the date of conduct of the examination. Application fee for the Central Teacher Eligibility Test 2018 is as followed. Fee Account with Syndicate Bank or Canara Bank. Note: Fee once paid will not be refunded under any circumstance. STEP 3: A form will be appeared on your screen Fill in the Online Application Form and note down Registration Number/Application Number. STEP 5: Pay Examination Fee by e-challan or debit/credit card. students are advised to download the information bulletin and read all the information carefully before filling the application form. candidates can download the information bulletin through by Click on the link: Click Here. For any admit card related issues (photograph, and signature or other issues) candidates may contact the CTET unit for necessary corrections.